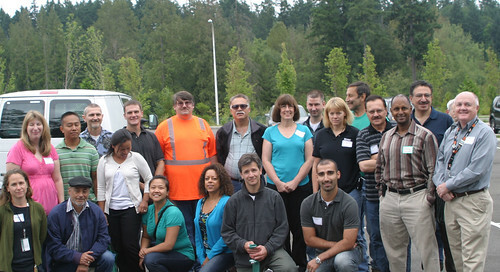 This 2 1/2 year project is led by WSDOT Project Engineer Aleta Borschowa (standing in the blue shirt). 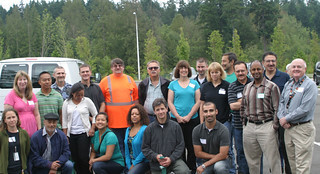 They are a team with a track record of on-time and on-budget, no problems. Aleta is working with Mowat (Mowat rep standing to the right in the black shirt) to get as much work done off the roadway so we will not affect your commute.